As the Government announces that the HS2 route connecting Crewe to Birmingham is to open six years ahead of schedule, South Yorkshire will have to wait until next year to even find out where a proposed station will be located. In the recent Autumn Statement, the Government confirmed that construction will begin on HS2, the high speed North to South rail link, during this Parliament and has been given a funding envelope of £55.7 billion in 2015 prices. It should reach Birmingham in 2026 and Manchester and Leeds by 2033. 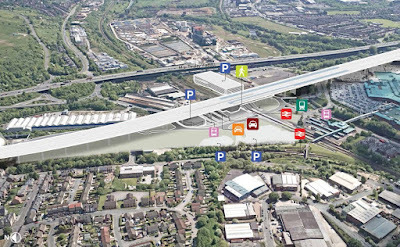 Whilst vocal in its support for HS2 coming to the city region, the Local Enterprise Partnership (LEP) has declined to commit to backing a specific site for a South Yorkshire station and instead has reiterated its stance that the location should be based on achieving the greatest economic benefit. This week, Secretary of State for Transport, Patrick McLoughlin MP, gave an update to Parliament, discussing plans that should see the link connecting Crewe to Birmingham opening in 2027, and plans for a new hub station in the centre of Leeds, to connect HS2 to existing rail services in a single station - an interesting change to previous proposals. On the issue of South Yorkshire, the Transport Secretary said: "Sheffield Meadowhall was the Government's preferred station location in the Phase Two route consultation. The evidence continues to suggest that this is likely to be the best way of serving the wider South Yorkshire region and we are working with the National Infrastructure Commission and Transport for the North on the possible interfaces with Northern Powerhouse rail. However, we acknowledge there are arguments in favour of a city centre location and continue to examine relevant analysis." "We continue to make good progress on our plans for the rest of HS2 Phase Two serving Manchester, East Midlands, South Yorkshire and Leeds and will make a decision on the route in autumn 2016." A decision had been expected this year, which had been pushed back to Spring 2016. 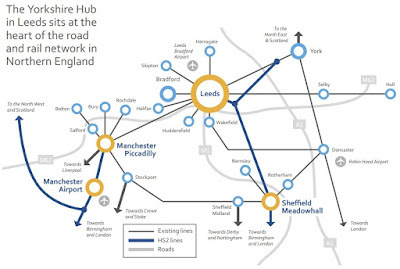 Last year, Sir David Higgins, chairman of HS2 Ltd, reiterated his view that Sheffield Meadowhall is the right answer for the South Yorkshire hub on the proposed HS2 line but admits the final decision is "finely balanced." The Sheffield City Region (SCR) Transport Executive Board (TEB), part of the region's combined authority has taken on the lead role on HS2 through a HS2 Programme Board. It has a key output to "secure local and national agreement on SCR station location" and is working on a connectivity package to maximise the benefits of HS2 and the surrounding growth area. As part of the latest devolution deal, it was agreed that the Sheffield City Region should get more control over the planning and delivery of local transport schemes, particularly in preparation for HS2. The station shoukd be at meadowhall.Rotherham will benifit more from this locality than if it were in Sheffield centre Apparently Sheffield are going to lobyvother councils to support the city centre option.Hope Rotherham council as some balls and go against them and puts Rotherham first for a change .Time to start putting Rotherham first even if it is to tge detrement of our "big"city big headed neighbours. Wow. Says it all really. Backward South Yorkshire parochialism in all it's glory. Exactly what holds this area back and why this issue is unresolved. Read on with pride Steve Hougton, Diana Terris, Jo Miller et al. You must be proud. Flat earth fools.